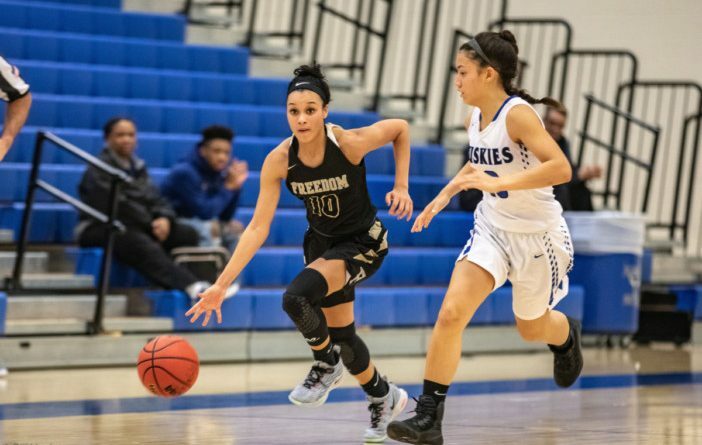 If you follow girls basketball in Loudoun County, you know one thing: Freedom High School is the team to beat. Coming off a trip to a VHSL 5A State semifinal in 2018, the Eagles are loaded with talent and are paving their path for a return to the state tournament. Of the teams standing in Freedom’s way of repeating as Potomac District champions, Tuscarora High School probably posed the biggest threat. But on January 18 in Leesburg, the Eagles made it clear who the front-runner was, dominating the Huskies, 77-48.